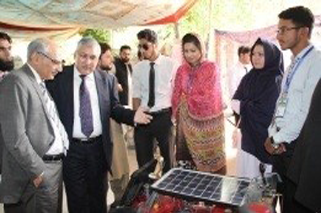 Networking with Industry, Govt. & Non-Govt. High Officials, Politicians etc. 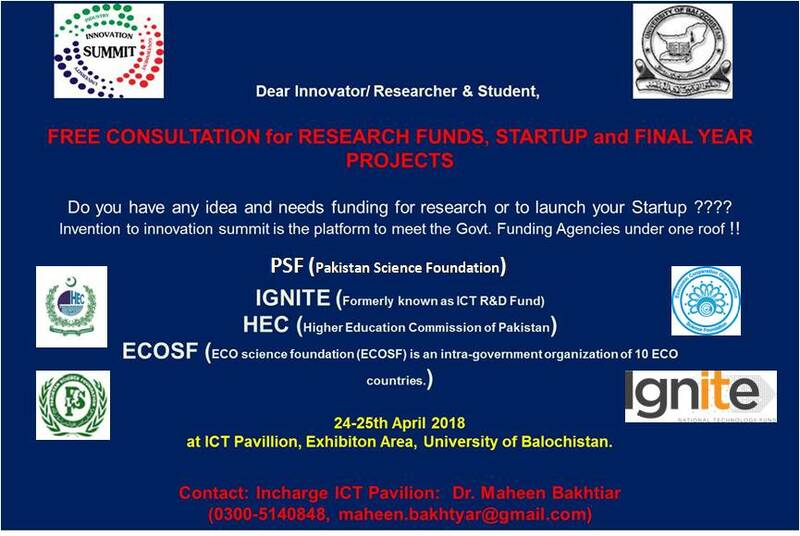 Funding Agency Bring your Ideas /Proposals for Assessment by Funding Agency like HEC-TDF, PSF, IGNITE, ECOSF and DOST. 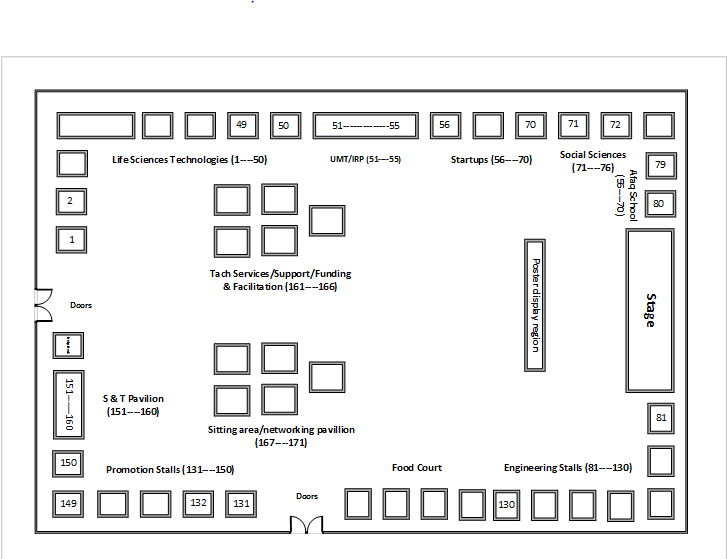 Life Sciences All Life Sciences including Biotechnology, Agriculture, Pharmacy, Chemistry, Medicines Etc. 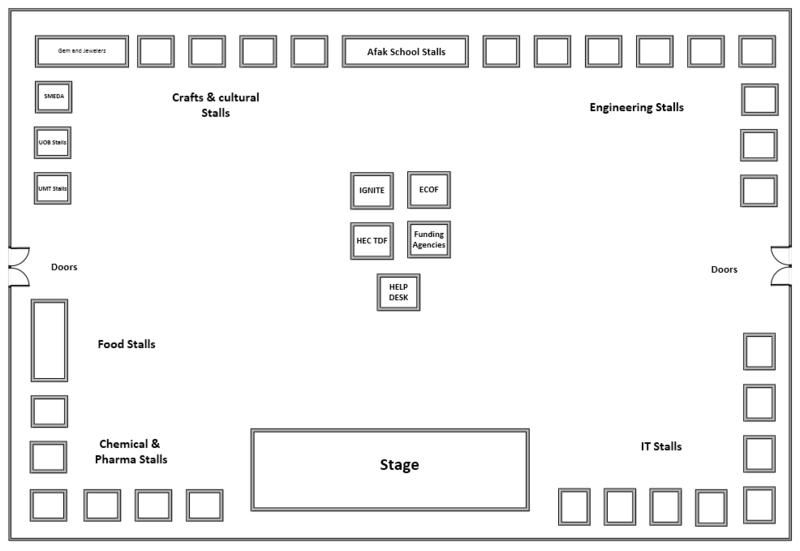 Arts & Social Sciences Social Ventures, Visual Arts etc. 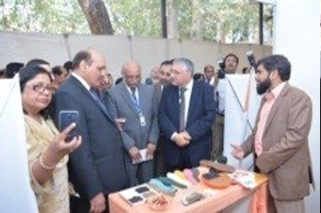 The expo presents stalls of academia, R&D institution, industries, public sector offices and international organization showcasing their innovative products and services. By participating in expo you can get 5000 plus visitors, brand promotion, technology solutions, industry collaboration, research funding and opportunity to buy and sell technology. Sponsor the expo partially and get your logo included in promotional material of summit. The summit is largely promoted through print, digital and social media reaching to millions of stakeholders. 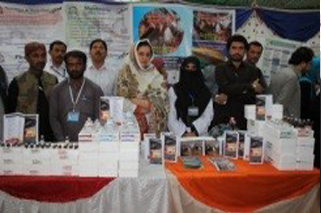 Promotional Stall costs – Rs 30000/ single and Rs. 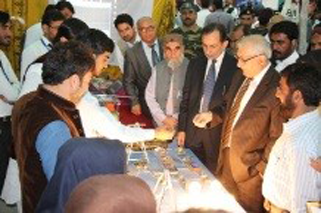 15000/shared for companies likes to promote their products and services in the expo.